There is nothing better than to be in the middle of God’s work, and finding its sweet spot. Have you found yours? For 22 years we found that sweet spot in full time church ministry, but God has laid before us another with GateKeepers Ministries. We are now about 45 days from stepping away from one to the other fulltime, but God has clearly lit our path, placing many like you on the way to prayerfully encourage us. Today I write from Scioto Hills Camp in southern Ohio where we are serving with our Grace Baptist teens for the last time, speaking in chapels and working with nearly 20 of them as they lead worship, perform skits, and complete work projects. Please pray for endurance, that God would move mightily in the lives of these young people we are so privileged to work with. 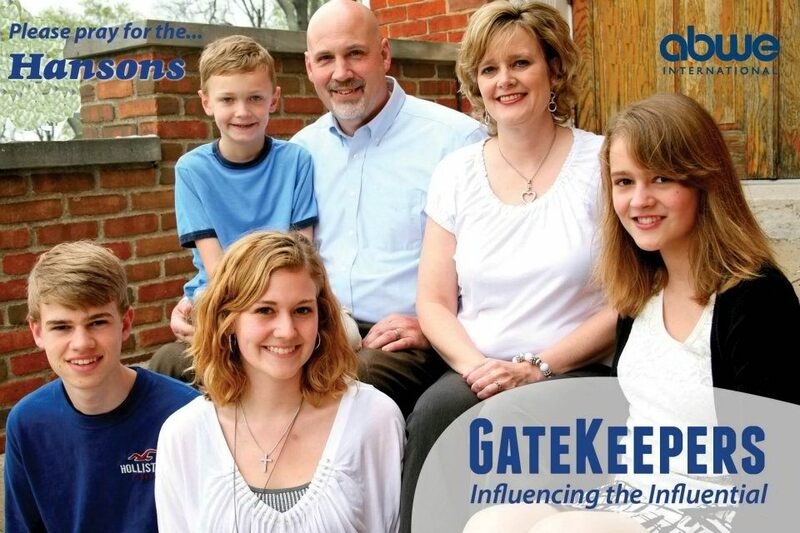 I cannot help but think that even as God calls us to Gatekeepers, with its motto, influencing influencers God has blessed Mandi and I with the same opportunity with teens and college students since 1990. As I watch our Grace teens serve this week, there is no doubt we influence the influential through our ministry with them. These younger generations are used by God in magnificent ways! Yet as we press on, the core of our life ministry—influencing influencers – remains. God now offers us opportunity through Gatekeepers to serve current and younger generations in new arenas of politics, sports, and business. We are called to share the Gospel to those in unbelief, and to challenge those who believe to stand more firmly and fervently for God and His Word in places where His light must shine. We are praying God to bring others like you alongside us and join in this, His pursuit. When we began this journey in March, the destination of full time financial support seemed distance. Yet today we approach the 40% mile marker. Isn’t God good? We are ecstatic that He has moved people’s hearts to generously give to this ministry, and to speak on our behalf with others. I wonder if God could take us to 50% by the end of this week. One time gifts, or commitments of $25, $50, $100 or more per month, are God’s means of carrying us further. He asks us to rely on Him through others, but it is such an awesome feeling to ride the wings of God! You can also stay up to date on what is happening with GateKeepers by “Liking” our Facebook page: www.facebook.com/gatekeepersohio. Thank you for walking this journey with us. We count your friendship, prayers and support as God-sent.